Ridley Scott’s flick kicks off on the red planet suggested by the title. 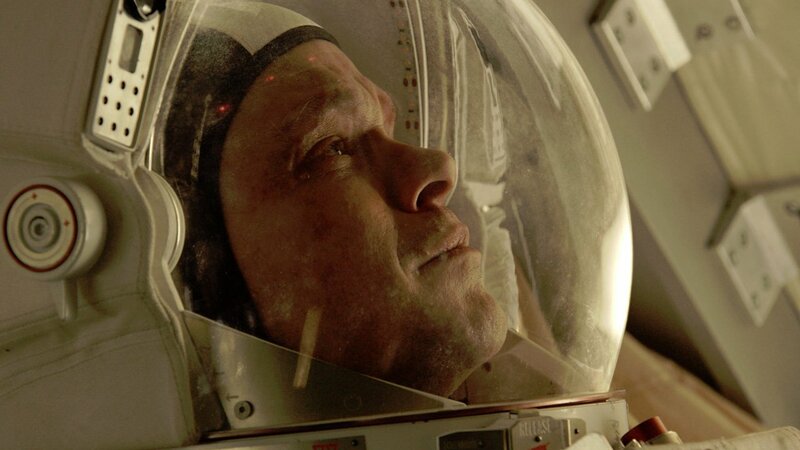 A group of astronauts/scientists lead by Jessica Chastain are going about their business studying the dusty new landscape when an unexpected storm forces them to leave post haste. In the scramble to get out of dodge, they are forced to abandon a member of their team, presuming that he is dead. 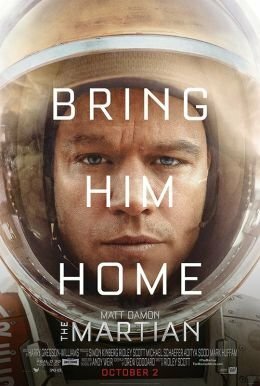 Since that astronaut is Matt Damon and he’s on the poster, obviously the guy survives. He’s trapped on Mars, but he’s a genius and a botanist, so he quickly figures out how to create a crop of potatoes to stretch his supplies. Then, to expand on his smarty-pants nature, he even digs up an old probe to let NASA know he’s still alive. From there, a one-character film (enhanced by quipy digital diaries) expands out. NASA turns out to be run by a snarky Jeff Daniels straight out of The Newsroom who (alongside Kristen Wiig of all people) is as concerned with the media PR of the situation as he is in saving a lost astronaut’s life. Thankfully, Chiwetel Ejiofor is there to be a conscience for NASA and rather quickly, everyone starts pitching in to figure out how to get Damon’s pretty little face back on earth. A few things go wrong but thankfully, Donald Glover pops up as a quirky scientist with a plan and since Chastain’s gang of astronauts played by the likes of Michael Pena and Kate “still hasn’t seen Fantastic Four” Mara, they are far too kind and played by far too famous actors to leave a man behind. Let the death-defying life-saving in space begin! Given that this is a Ridley Scott joint, the visuals are predictably astounding. 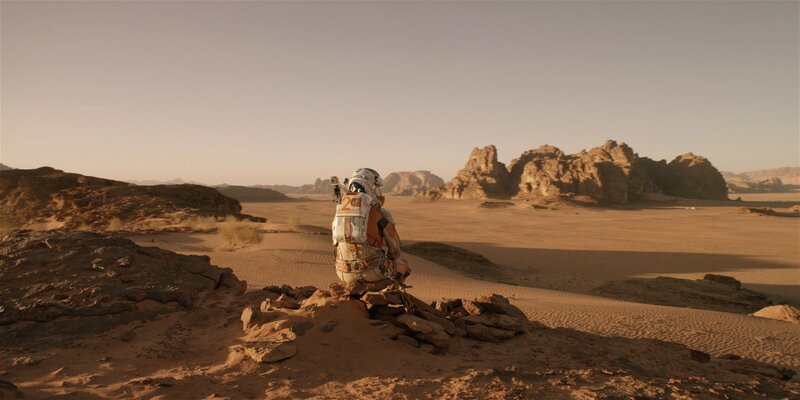 Mixing CGI and sets and God knows what, Scott and his team create a stunning vision of Mars that is both beautifully serene and eerily terrifying. The set pieces are handled with breath-taking bravado and even though some of the science likely doesn’t hold up to scrutiny, it’s been handled with a nerd-friendly attention to detail. However, all of those qualities likely could have been assumed simply by Scott’s name being in the credits. The big surprise is that the movie is also quite funny, perhaps even reaching “romp” status. Credit for this can likely be shared between Andy Weir’s source novel and the screenplay by sardonic quipster Drew Goddard (Cabin In The Woods, Buffy The Vampire Slayer). Tension and humour are mixed masterfully in a stellar bit of entertainment that actually earns a big fluffy ending without ever feeling too manipulative. The cast is also equally impressive and important in nailing the tone and outlandish situation. Obviously Damon stands out given that he pretty much carries the first half of the film himself. He commits to his patented body-modifying dedication to the role and sells blue screen survival desperation with ease. Yet, like the movie itself, the welcomed surprise in his performance is the humour. This is one of the most fun n’ laidback performances of Damon’s career and he’s absolute delight at the centre of a big pulse-pounding sci-fi narrative. The rest of the cast all do their stressed-out faces and tossed-off one-liners well, but it has to be said that the ensemble outside of Damon is fairly underwritten and perfunctory. There just isn’t enough screentime to go around to give the other characters much depth. Thankfully, Scott helped lesson that issue by filling pretty much every role with a recognizable actor who brings all of their baggage with them and helps fill in the gaps through their previously existing relationship with audiences. It was a wise choice that keeps viewers distracted from how underwritten all the supporting players are until the credits roll. 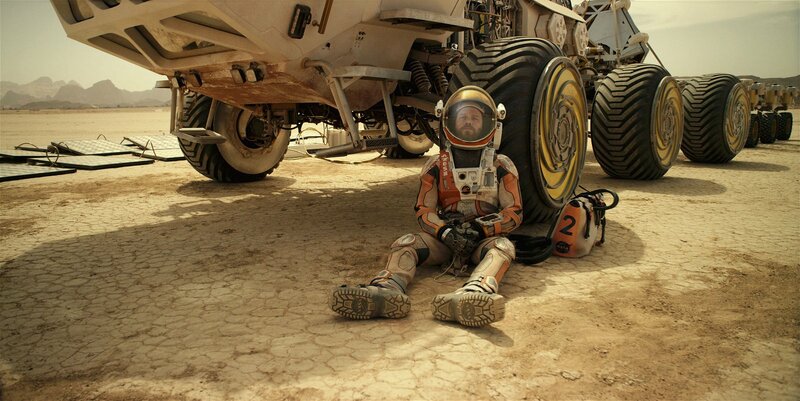 It would be a lie to claim that The Martian is a perfect movie by any stretch of the imagination. It’s a little long, features a few ridiculous moments.